Homestead Savings Bank was a sponsor of the 2018 Kids ‘N’ Canvas Event held on March 18, 2018. Local Artists of all ages created over 100 pieces on 5×7 canvas boards and donated them to the museum. 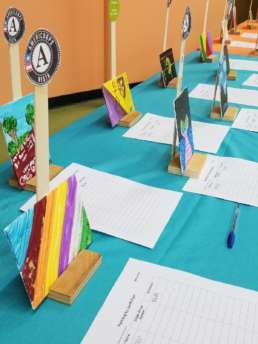 The items were featured in the silent auction portion of Kids ‘N’ Canvas.